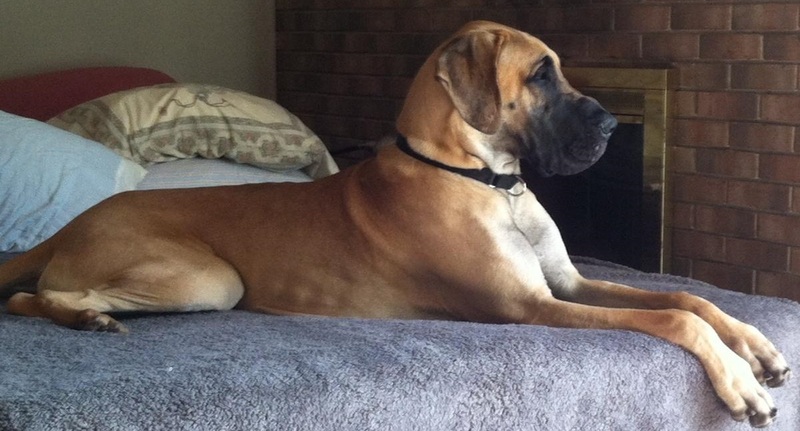 Great Dane Rescue : Adopt A Dane : Want To Adopt? Thank you for your interest in adopting a Great Dane! The Adoption Application must be submitted electronically. A non-refundable application fee of $25 USD is required to begin processing your application. Applications will not be processed until the fee is paid. This amount helps offset the expense of long distance calls made to both process your application and discuss available danes for adoption. After submitting this application, please pay the $25 application fee via Paypal to greatdanerescuemi@gmail.com. The next step will be checking your references and arranging your home visit. Once your references are checked, our Adoption Coordinator will give you a call to conduct an interview. We will then try to match you up with the right dog. This includes giving you the name/number of the foster home so you can talk with them directly and make arrangements to see your potential new friend. dogs 0-4 years are $350 including a non-refundable $25 application fee. Note: Adopters will be refunded $25.00 of the adoption fee automatically upon sending GDRI proof that the obedience clause of the adoption contract has been fulfilled. *the adoption fees are inclusive of all medical care, and go directly to our rescue fund to help pay the health care and rescue expenses. We are a 501 (c) (3) non-profit organization (#38-3265880) and your adoption fee may be tax-deductible - check with your accountant please. And please, if you find a dog somewhere else, PLEASE let us know so we can conserve our volunteers' time and funds. Make arrangements to pick up/visit your new Dane (when approved) at that Dane's foster home. Some assistance with this may be available under some circumstances. After adoption you will receive follow up calls on your dog. You are required to return these calls. A fence is required to adopt a deaf Dane.